Aires Director of Global Procurement Brad Stevenson presents Susan Becker Denise D’Mello with the Circle of Excellence Award at this week’s Aires Partner Summit. WARSAW, Poland – Synergy Global Housing has been awarded the Aires Circle of Excellence Award during the European Relocation Association’s (EuRA) 2017 conference held in Warsaw, Poland on April 25-28. The award was given to Synergy by its partner, Aires, during the Aires Partner Summit at the EuRA convention. The Circle of Excellence is given to companies that consistently receive high ratings from Aires’ customer service surveys. Synergy was noted for routinely earning scores of 90 percent or better on the Aires-organized surveys. The award recognized Synergy’s commitment to exceeding guest expectations through its responsiveness and customer-centric business model. 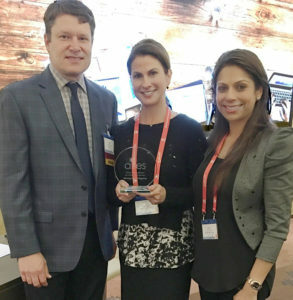 Aires’ Director of Global Procurement, Brad Stevenson, presented the award to Synergy Managing Director, Relocation Alliances, Susan Becker and Manager of Global Solutions, Denise D’Mello. This is the second-consecutive year Synergy Global Housing has been recognized by Aires with the Circle of Excellence Award, having won the same award for service at last year’s conference in Malta. Synergy Global Housing brings a superior furnished housing experience to the business travel and workforce mobility industry; providing best-in-class serviced accommodations in more than 55 countries across the globe. Synergy has Global Solutions Centres in: Dublin, Ireland; Hyderabad, India; Singapore; and San Ramon, San Francisco, Los Angeles, San Diego and Orange County, California and Seattle, Washington.  Through people, passion and innovation, Synergy delivers comprehensive services, custom-tailored to meet each client’s individual needs, on a worldwide basis. To learn more, visit www.synergyhousing.com. Aires delivers best-in-class global and domestic relocation solutions and mobility program management. Having been recognized by Inc. Magazine, The Forum for Expatriate Management, and the International Business Awards for organic growth methodology, excellent client/vendor partnerships, and leading-edge proprietary technology, and achieving certifications and registrations with FIDI-FAIM, C-TPAT, and ISO, clients are assured a focus on quality and customer service excellence when partnering with Aires. For more information, please visit www.aires.com.